Guest post written by Linda, a fan of the BoL, Blazers and obviously GO. 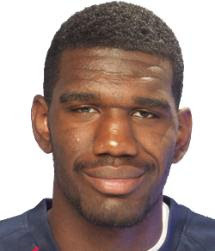 Okay, he’s not exactly the Denzel of Portland, but Greg Oden still has a special place in our hearts. Despite many skeptics out there, Oden has been showing improvement during his Ohio-based training and in the Men’s National minicamp. At only 21-years of age, although critics continuously cite his 47-year-old appearance, Greg the Gargantuan has had a career’s worth of injuries. Oden missed his entire rookie season due to a knee injury that required surgery. And just when you thought it was safe, boom, his foot was injured and he missed 21 games. Multiple injuries are not at all uncommon for a big man, but Oden tends to get hurt long before he begins playing at an NBA level. Even in college with Ohio State, Oden suffered a wrist injury and had to shoot opposite-handed. Management and coaches have Oden on a strict workout and diet regimen. They expect the center to drop some 20 pounds before season’s start. The good news is that, in Ohio to train, Oden is focused on reaching his goal. This can be great news for the Blazers’ upcoming season. Instead of eating cheetos and blowing his money on blackjack, Greg seems committed to getting in shape and staying healthy for a season. When Portland drafted the grossly-hyped Ohio State superstar, everyone expected big things. After his initial injury and subsequent mediocre season, the expectations turned back to straw. Oden has stated that he wishes to prove a dominant force in the NBA and give people reason to cheer. This new and improved attitude shows that Greg has finally gotten over the immaturity that plagues most rookies. If he can keep up with his wisdom, aligning actions with rhetoric, fellow players and fans alike should be in for a big treat.